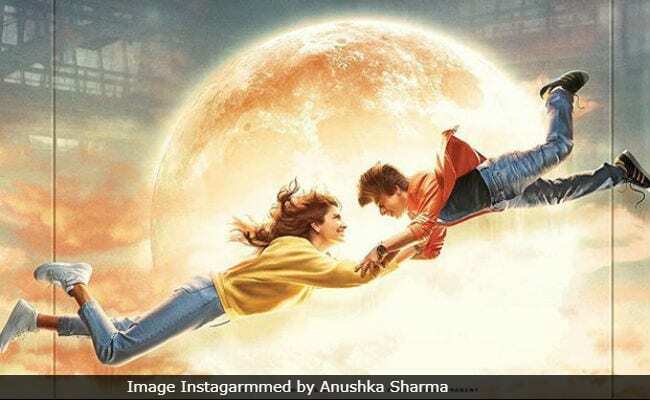 Aanand L Rai's Zero, starring Shah Rukh Khan, Katrina Kaif and Anushka Sharma, continues to struggle at the box office as it managed to collect merely Rs 18.22 crore on the second day of its release, reports Bollywood trade analyst Taran Adarsh. According to Taran Adarsh, the film's business should have "witnessed solid growth" on Saturday. However, the film's business "slipped" on the second day of its release. "Zero slips on Day 2. Business should've witnessed solid growth after an underwhelming Day 1, but is struggling at the box office," tweeted Taran Adarsh. Zero has so far collected Rs 38.36 crore. Despite its impressive star cast, the film under performed at the box office and had managed to collect merely Rs 20.14 crore on its opening day. #Zero slips on Day 2... Biz should've witnessed solid growth on Day 2 after an underwhelming Day 1, but is struggling at the BO... Decline on Day 2 [vis-a-vis Day 1]: 9.53%... Fri 20.14 cr, Sat 18.22 cr. Total: 38.36 cr. India biz. #Zero has underperformed on Day 1, despite extensive release [4380 screens] + #Christmas vacations... Sat and Sun biz extremely crucial... Fri 20.14 cr. India biz. Zero hit the screens on Friday and it clashed with Prashanth Neel's Kannada film KGF. Zero opened to largely mixed reviews. Film critic Saibal Chaterjee, in his review for NDTV, gave the film two stars out of five and wrote: "Zero, riding on SRK's back, reaches for the stars, but its astral ambitions are thwarted by a lack of imagination and genuine understanding of the minds of people struggling to ward off undeserved ridicule and earn rightful recognition." Zero showcases the story of a vertically-challenged man named Bauua Singh (played by Shah Rukh Khan), who falls in love with a specially-abled scientist named Aafia Yusufzai Bhinder (played by Anushka Sharma). The film also stars Katrina Kaif as an alcoholic actress named Babita Kumari. The film also features Tigmanshu Dhulia, Sheeba Chaddha and Mohammed Zeeshan Ayyub.